Cleansing Water with Iceland Moss Extracts (83%) known for their anti-oxidant and anti-inflammatory properties that cleanse skin, remove residue and dirt, leaves skin moist and clear without tightness or dryness. - No-rinse cleanser, easy & quick cleansing at a time. - 5-in-1 perfect cleansing even for the heavy makeup. Base makeup cleansing, point makeup cleansing, dead skin cell care, remove tiny residues in skin pore, moisturizing toner function. - 6 kinds of natural ingredients for skin hydrating, refreshing, soothing without the need for double cleansing. 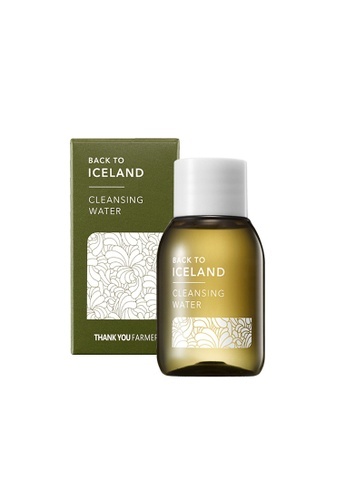 Can't find THANK YOU FARMER Back to Iceland Cleansing Water 30ml in your size?